Everyone loves camping, right? Sleeping under the open sky and watching the stars while the only sound around is a distant whistle of some night birds. Yes, camping is great, but sometimes you get a feeling that you need the comfort of your home and think how much you need something at the moment. That’s where some camping life hacks might help for even a better outdoor experience. 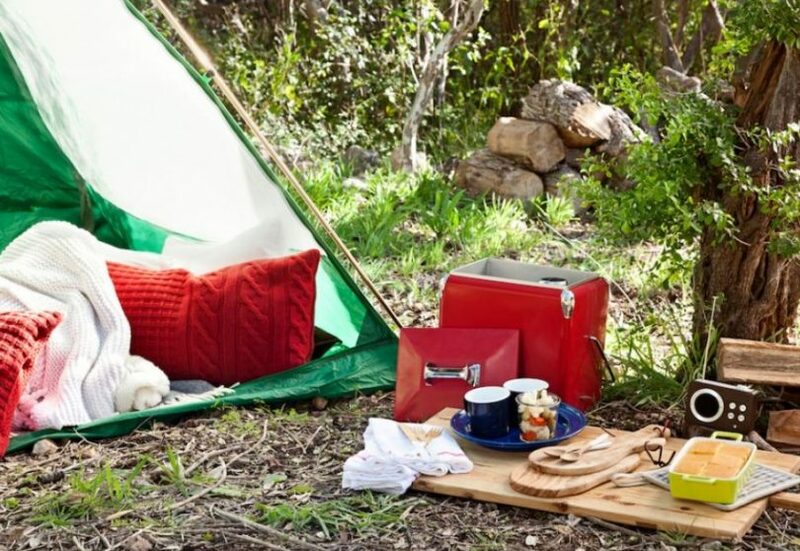 Some camping life hacks will make your stay in nature much easier. They will help you handle the situations that you thought are inevitable. 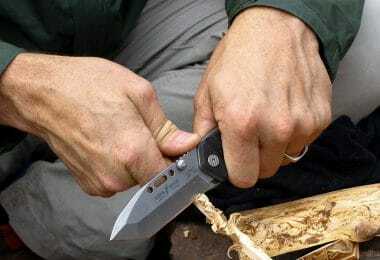 If you lack basic supplies like water and food, camping life hacks will make your stay in nature so pleasant that you’ll never have this problem again. During the years of camping all around the world, life has made us experience situations that required alternative solutions. We basically invented some life hacks by accident and we included some that we thought are pretty useful. Follow up and see what we find interesting and what life hacks invented for the best camping experience. 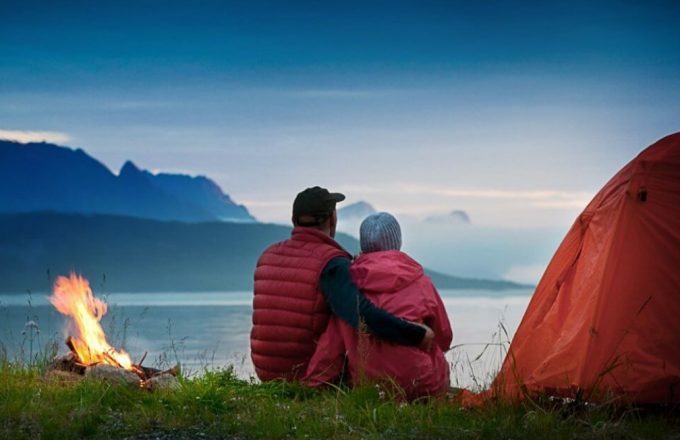 These couple of life hacks can be used around your tent. For the times when you lack some material or skill, use these hacks to ease your work and stay. Sometimes it can be wet, windy or simply you can’t light that campfire for some other reason. You try everything and nothing works. The lighter works just fine, but the wood burns out very fast and the dry leafs simply won’t produce any fire. Don’t worry, help comes from a place that you least expect. Get some of the food you carry and use it. Chips and foods with lots of fat and calories burn so well that it’s amazing. Yes, you might get a little hungry the day after, but if you really need that fire at the moment, say goodbye to that bag of chips – it’s not good for your health anyways. If you don’t have a battery lighter but you need more light than a simple Zippo or a burning match than you can make a mini torch using just matches, cardboard and wax. If you liked the stove idea, then you’ll love this one. With this, you’ll get much more light and you’ll be able to use it as a torch for a while. Take a couple of matches, put them together and cover them with a little candle wax so they stick together. Then, cover all of it with two slices of cardboard or thick paper that can burn longer. Wait for a little to dry the wax and burn the matches. You’ll get more light and you’ll be able to use it longer. When it runs out, simply make another one if you have enough matches. A common problem when adventurers leave camp is to find their way back. 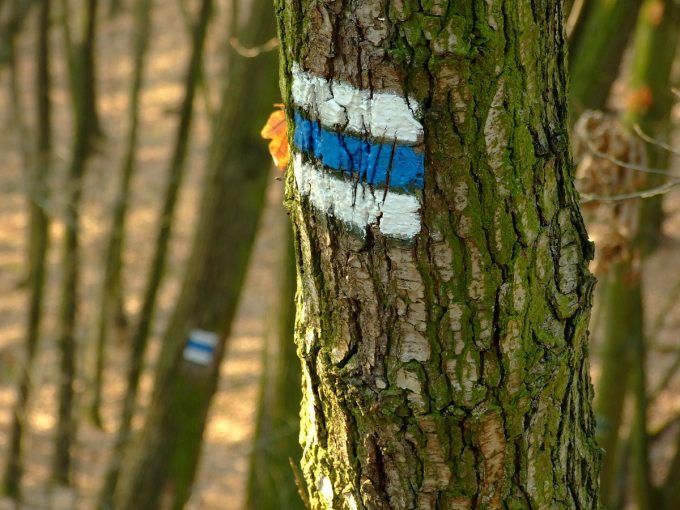 Hiking tracks are usually marked, but sometimes, especially in deep woods and mountains there are no signs whatsoever and getting back to camp is merely impossible. That’s why you need to mark your way somehow if you want to get back in camp again. The best way to do this without destroying nature is to simply paint some trees with – tree leftovers. Yes, it sounds funny but, you can use the burned woods from last night campfire and leave marks on trees with the charcoal that was burned. It will stay on the trees or rocks for a few days, and then the rain will wash it away. We were dealing with mosquitoes, but another bug is also pretty annoying – flies. When you set the camp, and go to sleep in your tent, it is a real menace fighting with the flies to leave your sleeping area. A simple lemon will make your sleep more pleasant, but what happens if you’re in the open. Let’s say you chop a tree near the tent and flies keep annoying you. Slice a lemon in half and put some cloves over it. 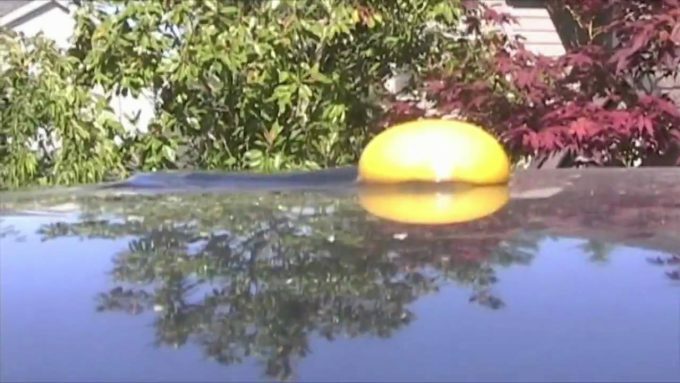 The smell of the lemon is strong and flies hate it – unlike people who usually love the smell of the lemon. The cloves only add to the strength of the smell and you can be sure that with this, no flies will come around you. 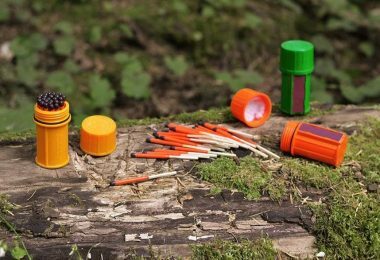 If you prefer matches over lighters then you need to take a good care of them when you’re going in the wild. Matches are not useful when they get in contact with water and that’s why you must avoid water. But, what if you get caught by rain or something like that? You must have a backup plan. Matches packed in paper packs are the worst to take camping. You must place the matches in something else, something that will be light enough but give you a good protection. The material you’re looking for is, of course, plastic. Plastic packs previously used for any sort of drug or medications, chewing gums or something similar. This way your matches will stay intact and ready to use at all times. You can’t stay hungry out there, right? You must always have a backup plan how to prepare and how to store your food and use it when needed. Use some of these food hacks when camping. Used plastic bottles are only good for recycling, right? Wrong! When you finish a plastic bottle, cut it on the bottom part up to the middle and get a perfect spoon. Usually, the plastic bottles are made in such way that the bottom has a little curve that is ideal for this use. 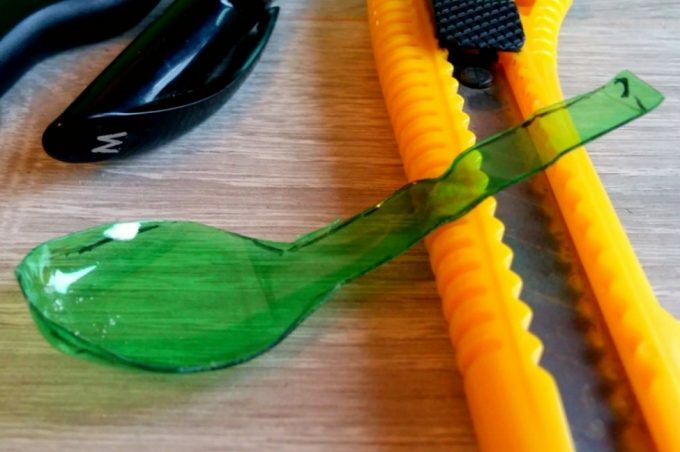 Since there are more curves like this, you can make a set of spoons. A wooden branch can be transformed in a fork with ease and the only thing you need to carry so you can have a complete set for dining is the knife. With it, you’ll actually make the spoons and the forks. If you bruise yourself or have a splinter, you can use different kinds of medications but if you have none with you, all you should use is a peeled banana. Eat the part that is food, but don’t throw the peel. Cut a little part of the peel and place it over the wound. The banana has special ingredients that affect the skin and after a couple of days, the problem will simply go away. Cover the place with the banana and simply tape it with something – band-aid is best, but you can use anything. Many people don’t know, especially those that use microwaves to cook food, but you can use tin foil to prepare almost any kind of food. When you’re in the wild and there is no help from machines, you only have the fire to cook your food so you must make the most of it. Tin foil acts like an oven when it is placed under heat. Place the raw food in the foil and heat it and you’ll have it baked. If you make a water department and fill it up, you can use it for boiling. 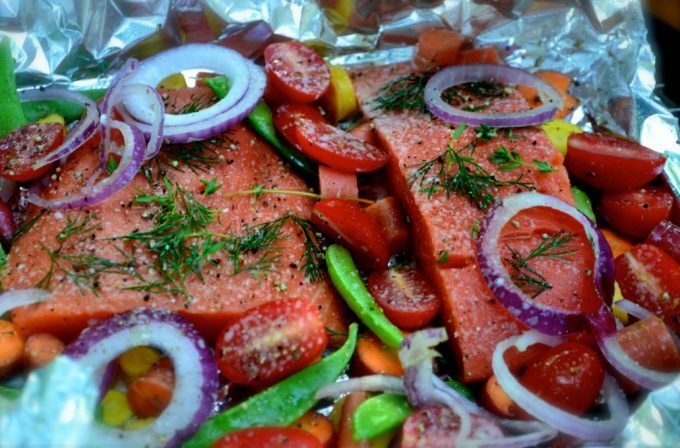 All kinds of foods can be prepared like you’re in the kitchen just by using some aluminum foil. If you have packed some cans with different kinds of foods then you have packed a stove to cook some soup too. 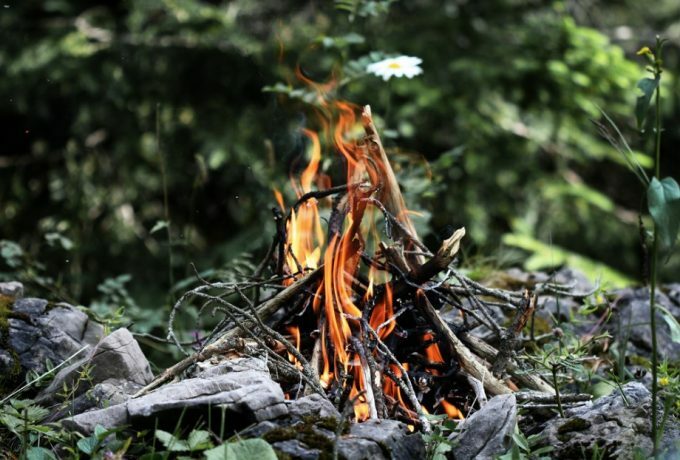 It is very easy to make a stove in nature – all you need is a used can, some cardboard or a quality thick paper that can burn longer and a candle wax. You might ask, well where am I going to find a candle in nature? True, but a candle in nature is always a good idea. How it’s done? The empty can is filled with the cardboard that you previously cut into slices. Then, you add the candle wax in the can until there is only a little cardboard left on the surface that can be light up. 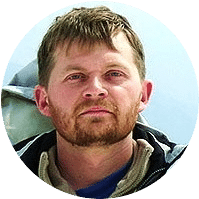 You can leave the wax to get cold or use it right away, it’s up to you – just place the dish that you’re going to cook in over the improvised stove. Some might think it’s stupid, but it’s actually very clever. Over the hot sunny summer days, the temperature of the air can climb up to 100 degrees Fahrenheit. On this heat, objects under the sun can become literally a natural stove on which you can cook anything you want. The car’s hood or roof is perfect for this occasion. The temperature on the surface will rise to more than 180 degrees, so why not use this instead of making fires. Clean the surface well, but be careful not to burn your hands. Let it reheat again, and simply break an egg over the surface and watch it fry. In seconds you’ll have a delicious meal without using anything more than the sun. Water can be really helpful in many situations and you can use it for many hacks. Also, carrying water as a supply is a must, so you need to be sure you have water at all times. Here’s something about that. Flying insects can be a true menace, but those crawling on the ground are also annoying. 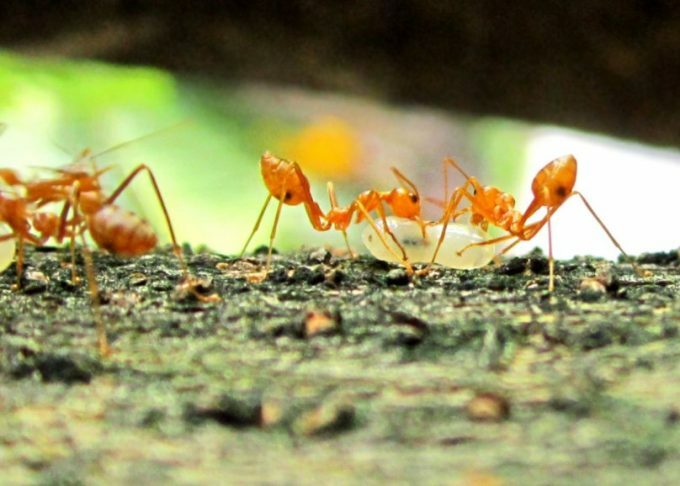 Ants tend to climb over anything and the table with food seems to be their favorite place. Of course, the food attracts them, so it’s no wonder they love to spend their time with you while eating. There’s a pretty simple solution for this actually. The legs of the table are the place where ants get on top of your table so simply place them in a small trey with water. Ants can’t swim and this will keep them away from your eating place. In case you get lost, don’t worry, there are many ways to make a compass almost out of nothing. Here’s an idea that is amazingly easy. 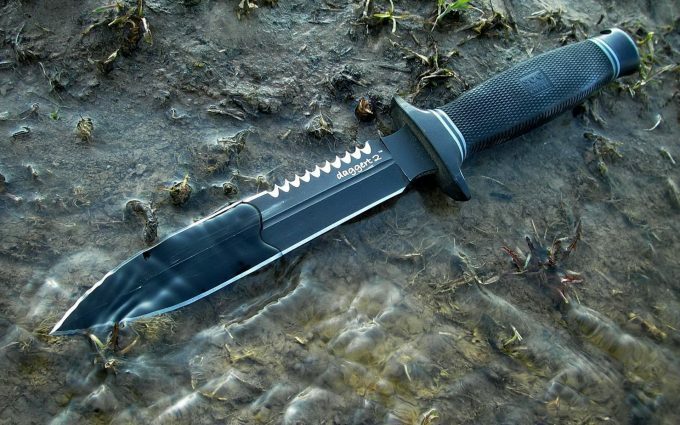 Find something made of metal, like a knife. Rub it from your hair, but be careful not to cut yourself, also, do it well, rub it almost a minute so you can be sure it is done well. Rubbing it will make it magnetized from the one side, which is the most important part. Then, place it over something in the water, a paper plate or anything that can float. Make sure that there is no wind and the water is stable, don’t use rivers and flowing waters. You’ll see how the knife will point itself along with the plate in the line of north and south. That way you’ll know where you need to go. Your stay in the camp is much more than just nature and you. It’s not your comfortable home, but you can make some little things that will make you fill better and make the enjoyment even greater. Camping in nature under the open sky means total enjoyment. There’s nothing more satisfying than drinking your favorite drink, watching the nature, and be one with your thoughts and nature. That’s all great, but why not add a little more ambient to this? 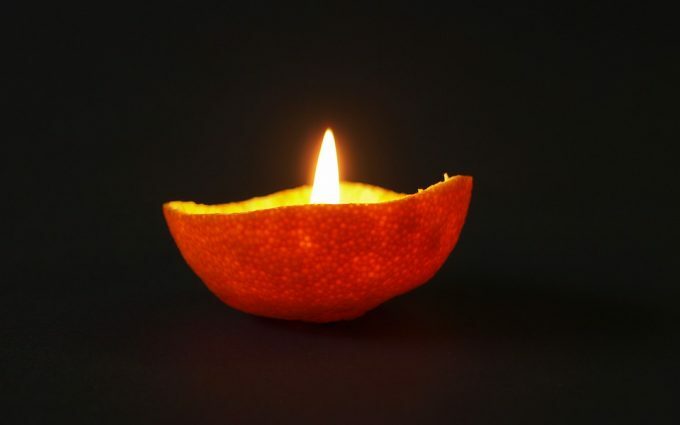 All you need is a little candle wax, a tea light and an orange or something that you like the smell of it. Cut the orange in half, take out the part that we usually eat so it looks like a bowl of food. Place a little of the heated wax inside and put the tea light on top. Light it up and enjoy your own made aromatherapy candle. The smell of the orange will be amazing. As kids, we always wondered why the cattail looks like it does. We thought that it’s not used for anything, but now as passionate outdoor adventurers, we appreciate the cattail plant a lot more because it is an excellent bug repellent tool. All you need in addition is a lighter and a rock or something else that can be used to keep it in a safe place in your camp. Simply burn the head of the cattail and place it somewhere that you’ll be sure it won’t make any damage and burn something you need. It will slowly burnout for about a half an hour, but until then it will keep all the bugs away within a radius of 10 to 15 feet. You can use some of your clothes or a hat to disperse the smoke if you see that it’s not doing the job well. Beeswax is a product that is good for lots of things and is never wrong to have it on you while you’re going on an outdoor adventure. You can use the beeswax as a lip balm and complete care of your skin. The sun in the mountains can be devastating for your skin, so people that often go out and about in nature – always carry beeswax. 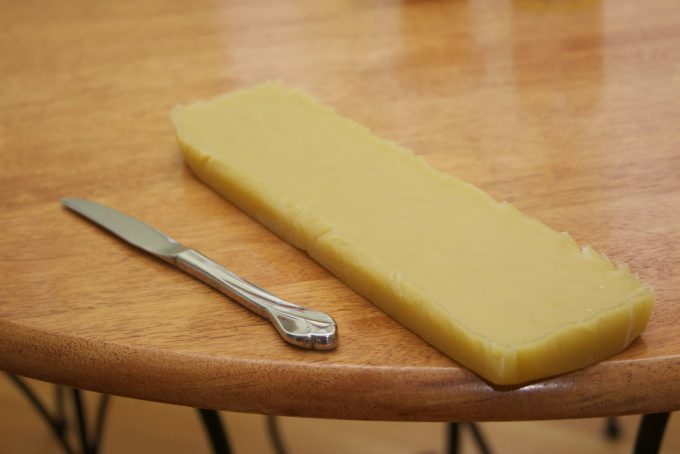 Aside from it as a natural skin product, beeswax can be used as a water-resistant product. Use it to cover your clothes, shoes or anything that you want to stay dry in wet conditions. Put it on the shoes and you’ll see how the water is resisted from holding on to the surface of the shoes. The wax keeps the water away and you’ll stay dry at all times. Spending time in the great outdoors can be a great experience that’s for sure, but why not make all that an unforgettable experience instead? When going in nature, we think about the beautiful sights, the connection with the forests and watching the stars at night. All this is great, but why not make it even better. After setting the camp, we can relax and enjoy. Enjoyment, however, can be distracted by some little things like insects, or we might remember that we forgot something we really need. 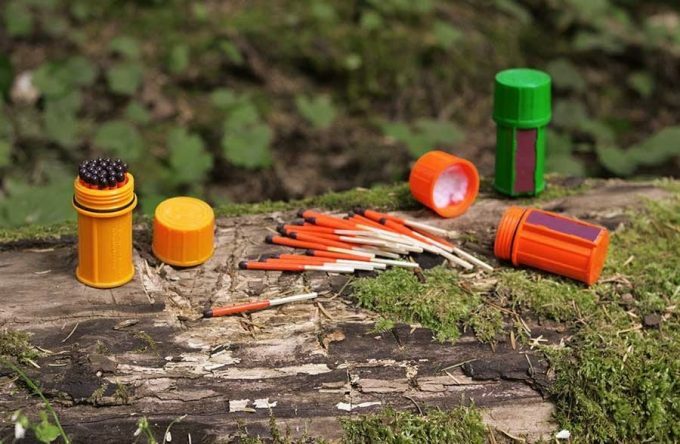 We must think of a creative way to fix things, so these camping hacks will surely help. 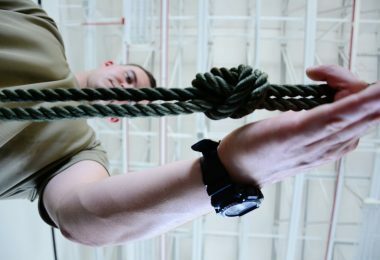 You can use the hacks mentioned above in situation that you might need and be sure that they’ll work. They’ll work because we personally tested them and they work. We wrote all of them based on our own experience. So, enjoy nature, and stay safe. 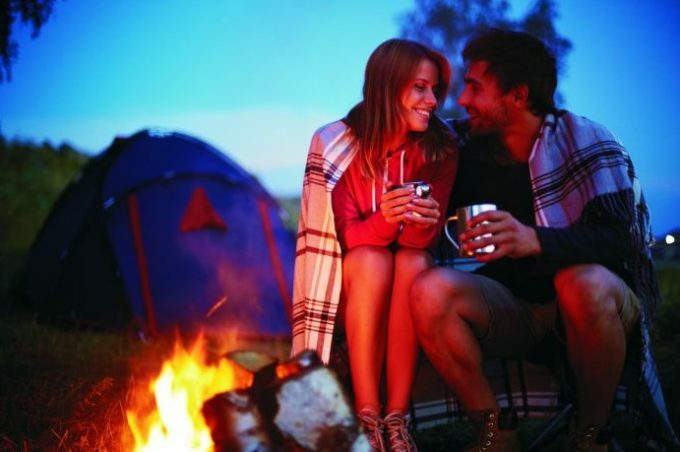 Do you think we’ve missed out on any great camping life hacks? If that’s the case, leave us a comment and let us know – we’d love to hear your suggestions as well!